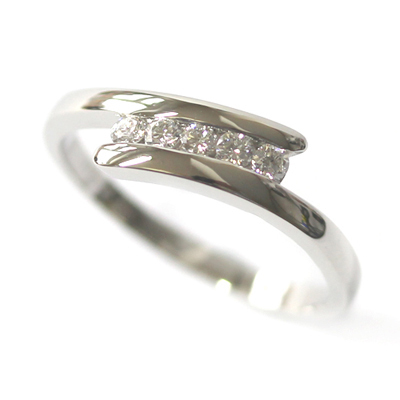 Platinum Five Diamond Dress Ring — Form Bespoke Jewellers Ltd.
A stunning five diamond dress ring cast in platinum. At the heart of the design are five round brilliant cut diamonds of matching colour and clarity. This ensures a flawless finish across the ring. The elegant wrapping detail of the shoulders then frames the illusion-set diamonds perfectly. The customer chose for their five diamond dress ring to be cast in durable platinum. A pretty and versatile ring that can be worn for all occasions.